While MBS Staff is preparing for the ISA Expo, Shipping cut off will be 3PM EST now thru April 21st. Thank you for your Understanding. Aluminum & Stainless Steel Finishes! 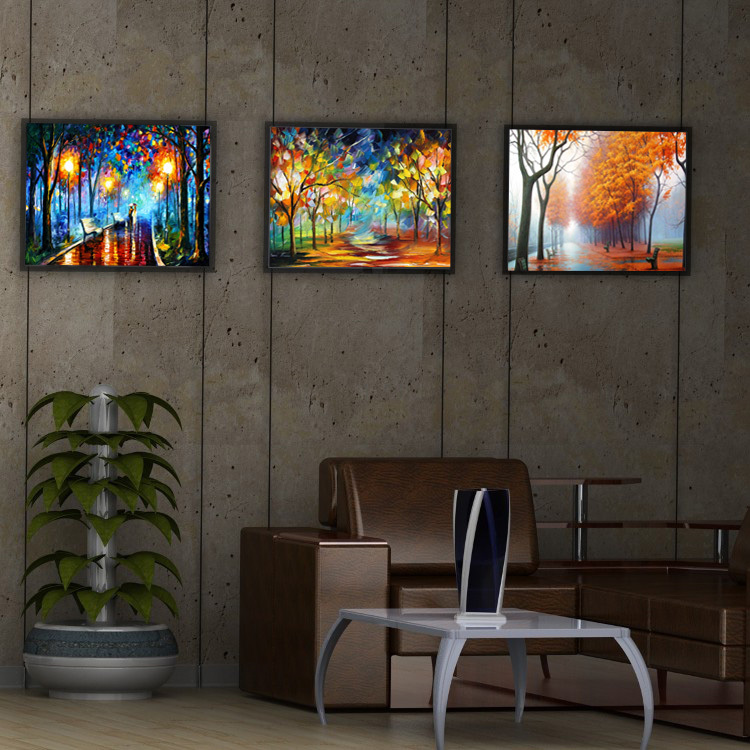 Hanging your art or displays, whether it is a priceless piece by a master, your favorite painting by a family member or signage in your business it deserves more than a nail in the wall. At MBS we have developed very affordable systems that provide far more strength and security and can actually help enhance the appearance of a room. 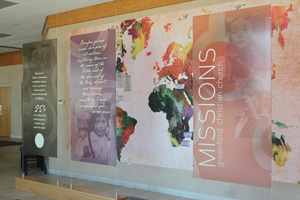 Our display systems are designed for art and signage but they have been used by creatives for all sorts of things. From hanging pots, pans and utensils in a kitchen to a gorgeous glass room divider. As we say, you are only limited by your imagination. The art hanging systems are either our rail, cable and hook systems that are visible on the wall or you can choose our z-clips if you prefer to not see the mounting. Along with our art and display systems we also offer a complete line of signage products for businesses or venues where the public or employees need direction. 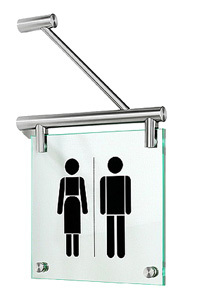 These are known as Wayfinding signage and we offer stylish cable or rod hanging systems that are suspended from the ceiling. We also offer what are known as "Projecting Signs" that hold the sign perpendicular to the wall or make it stand off from the wall making it very noticeable. 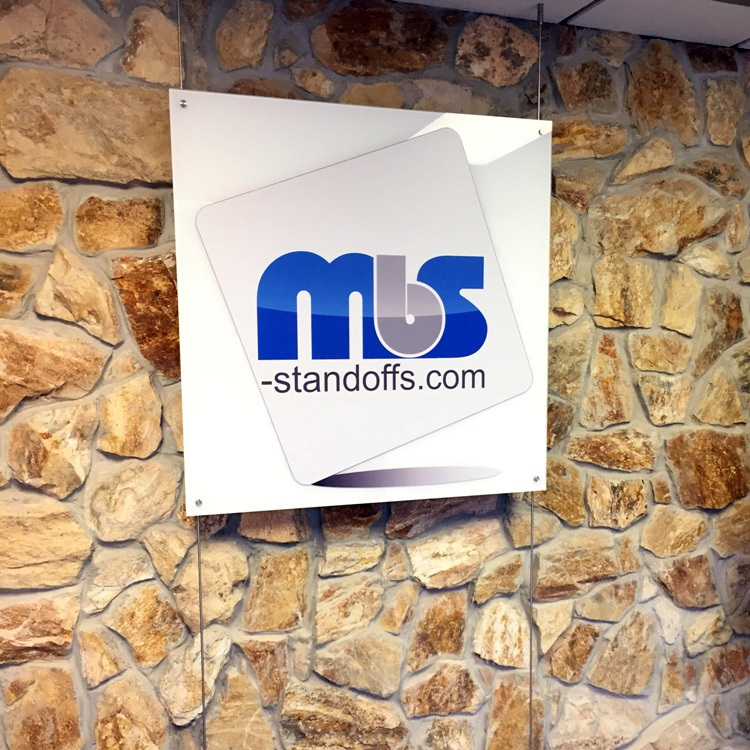 Whatever your display system needs are, wayfinding signage, hanging signs, displays signs or the mentioned projecting signs, think of MBS, a global leader in the manufacturing of display and signage products. Where you can save up to 60% over our competitors. Cable Display Systems are developed to be smooth and stylish, while being extremely discreet in order to keep attention focused on your display. The 1/16" wire display systems can hold up to 55 pounds (25 kg) per cable and all of our systems have a cable wire display tensioner to keep everything tightly in place. Rod Display Systems are perfect when you require a stiff system, when you are setting up horizontally (they work great vertically too), or when you will have a lot of weight installed in the system. The rods are 1/4" thick, made from strong stainless steel, and are offered in lengths of 3' 3", 4' 11", 6' 6", and 9' 10"
The Suspended Wire Cable Systems have been created for suspended shelving and showing graphics of all sizes. The Wire Cable System is a trendy yet discreet method to suspend posters and shelving. The system can be bought in component format or as a complete system with acrylic accessories. 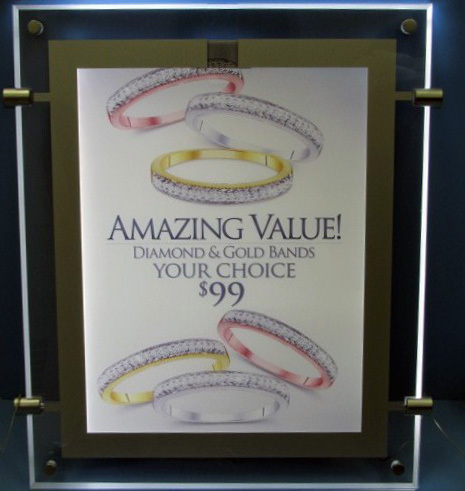 Capture your customers' attention day and night with LED Window Display Signs! These affordable illuminated sign holders make it easy for you to display information and change it frequently. Perfect for attractive window displays! Drive in more traffic with eye-catching LED Sign Display Kits and grow your business! We have the Best Prices and the largest variety of high-quality display and signage products in stock. We provide the best customer service online, on the phone, and in person and we strive to build long-lasting relationships with our customers. Every order goes through a thorough Quality Control process to ensure your products are held to the highest standards. Receive Quotes in minutes, review datasheets for each product, Same Day Shipping on 99.99% of all orders and 2-Day Shipping to Most States in the U.S.! You dream it, we make it happen!